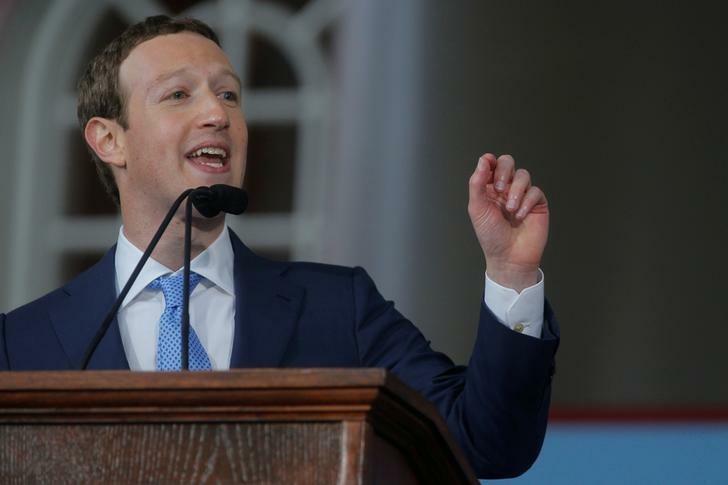 SAN FRANCISCO (Reuters) - Facebook Inc (FB.O) Chief Executive Mark Zuckerberg apologized on Wednesday for mistakes his company made in how it handled data belonging to 50 million of its users, and promised tougher steps to restrict developers' access to such information. The world's largest social media network is facing growing government scrutiny in Europe and the United States. This follows allegations by a whistleblower that British political consultancy Cambridge Analytica improperly accessed users' information to build profiles on American voters that were later used to help elect U.S. President Donald Trump in 2016. "This was a major breach of trust. I'm really sorry this happened. We have a basic responsibility to protect people's data," Zuckerberg told CNN, breaking a public silence since the scandal erupted at the weekend. He said the social network planned to conduct an investigation of thousands of apps that have used Facebook's platform, restrict developer access to data, and give members a tool that lets them disable access to their Facebook data more easily. European governments expressed dissatisfaction with Facebook's response and said the scandal showed the need for strong regulation. "It shouldn't be for a company to decide what is the appropriate balance between privacy and innovation and use of data. Those rules should be set by society as a whole and so by parliament," British minister for Digital, Culture, Media and Sport, Matt Hancock, told BBC Radio. "The big tech companies need to abide by the law and we're strengthening the law." Germany's justice minister Katarina Barley demanded that Facebook executives explain to her whether the site's 30 million German users had been affected. The company has lost nearly $46 billion of its stock market value over the past three days on investors' fears that any failure by big tech firms to protect personal data could deter advertisers and users and invite tougher regulation. Psychologist Aleksandr Kogan, who provided the data, dismissed on Wednesday Cambridge Analytica's assertions that the information was "incredibly accurate". About 300,000 Facebook users responded to Kogan's quiz, but that gave the researcher access to those people's Facebook friends as well, who had not agreed to share information, producing details on 50 million users.